The FreeMax Firelord 80W TC Starter Kit is a fully-loaded output systems crafted with inspiration from the successful FireLuke Tank, developing a resin-integrated Conqueror 80W TC Box Mod to pair with the new FireLord Sub-Ohm Tank. The central core system allows for replaceable sub-ohm setting with the introduction of the FLK Coil System with the option of rebuildable setting when switched with the two-post, single coil RBA deck that comes with the box mod kit. The Conqueror 80W Box Mod features a superior Zinc Alloy frame with a beautiful resin inlay for a stunning impression. The onboard chipset is powered by a single 18650 battery (sold separately), featuring a wattage range of 5 to 80W and full temperature control setting. The included FireLord Sub-Ohm Tank measures 22mm in diameter with dual bottom airflow and 2mL maximum juice capacity, accessed via threaded top-fill method. The FreeMax Firelord 80W TC Starter Kit have six colors for you to choose. The kits look so exquisite and smooth in hand. 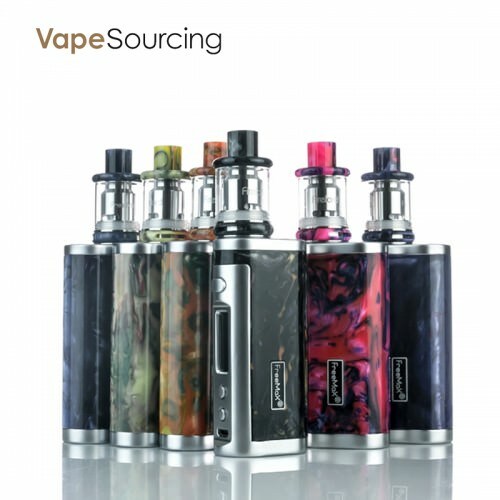 If you want to know more details about FreeMax Firelord 80W Kit, please visit Vapesourcing: https://vapesourcing.com/freemax-firelor...t-80w.html. Do you think this is a good device for you? It’s up to your opinion.